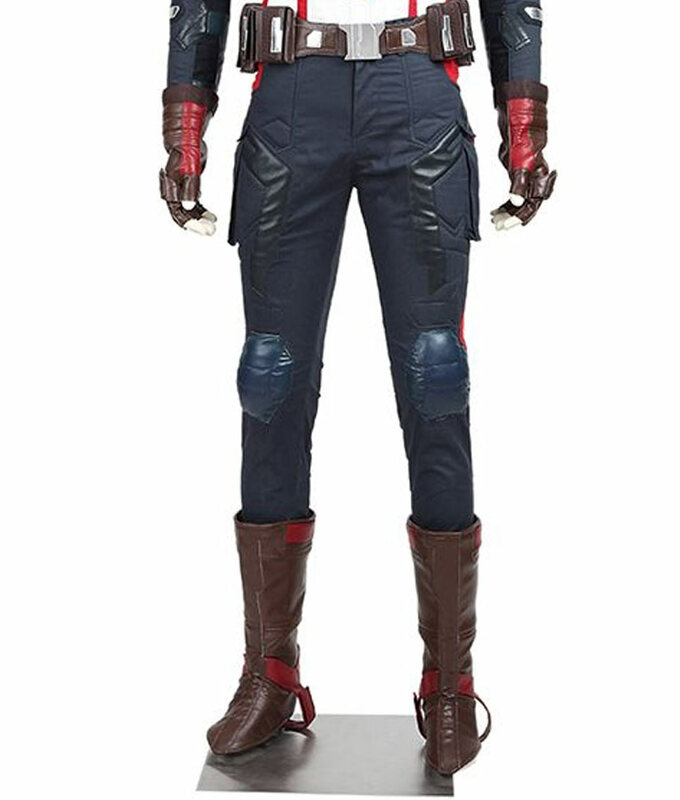 Captain America Age of Ultron Pant is an astounding attraction of Chris Evans who wore it as the costume while playing Steve Rogers’ role. Captain America Pant is produced in PU leather material, includes space for belt. This attire also contains two flap pockets on side, padded and stitched design and padded knee guards. This apparel looks even hotter along with the Captain America costume. This outerwear is blue in color.